Yesterday, I shared my favorite outfits of 2017. I touched briefly on my hopes and dreams (lol) for my wardrobe in 2018, and today I’d like to share more about that. 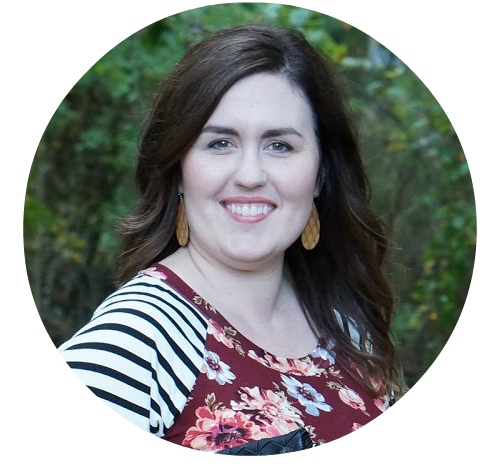 I don’t remember ever having shared my goals here on the blog. At the beginning of 2017, I wrote down goals in my Inkwell Press planner. I love that planner, and it brings me a lot of joy to document my goals and, basically, my daily life within those pages. The goal page is divided into 6 categories. In 2017, I used those basic categories to plan my goals. For 2018, I am still using those categories and added a couple more of my own. Personal. I had a personal goal to read 40 books last year. The year prior, I had surpassed my reading goal and thought ‘why not increase my goal?! !’ Well, I only read 28 books in 2017. And that’s okay. I’m happy with what I read, but wish I had more time to read more. Social. Our church has a pretty strong mom group. Every month, there we get together for a themed event. It’s always been a lot of fun, and my goal was to attend every event. Well, I attended one out of the entire year. I think it’s so important to be involved in whatever community is near and dear to your heart, so I am disappointed that I flaked out on this one. Financial. Heh, well. One of the big financial goals last year was simply ‘the house.’ Gotta pay for it if we want to live in it! What ‘the house’ goal entailed was, basically, eliminating frivolous spending. Simple! We did an amazing job at being frugal. The other two goals in this section were kitchen and dining room. Those are the two rooms we want to finish first in the house. Both rooms are not completely finished as of right now, but hear me out. We purchased the main pieces of furniture for both rooms, so I am definitely counting this as a win. Considering we’ve never put this much thought and effort into purchasing furniture, I am very proud to cross those two goals off my list. Health. I had three goals in this section and they were: eat more veggies, eat less sugar (as I sit, cramming Dove chocolate into my mouth), and run a half marathon. I succeeded at the eat more veggies and eat less sugar goals (honestly, I can barely eat an entire piece of cake now, sugar tastes so insanely sweet to me now), but completely failed at the half marathon goal. Home. In 2017, my goals were to have the house packed by spring and to declutter before we moved. I accomplished both of those goals! 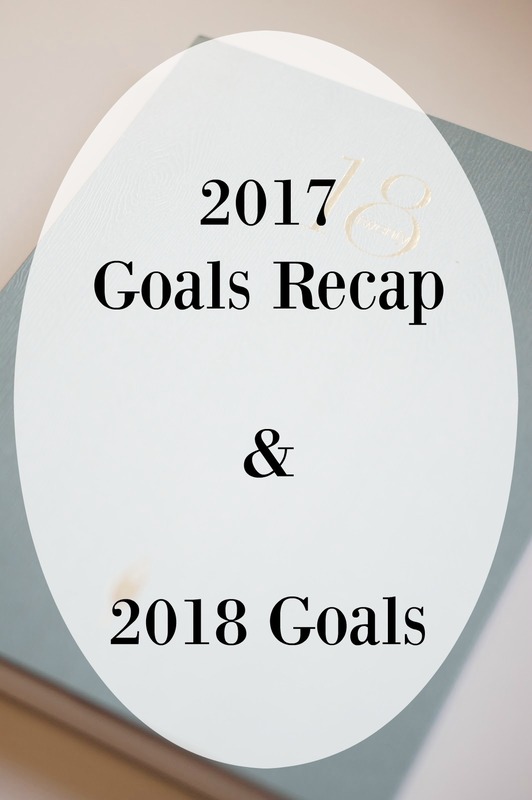 For 2018, I am using the same goal categories and then added a couple, which are Clothes & Beauty and Blog & YouTube. Personal. I have one personal goal of reading 15 books this year. Last year, I tried to so hard to read more books all year long, but it just didn’t happen. This year, my goal is to read better quality books. Some of the books on my radar are longer, such as the Outlander series. I’ve owned Outlander for years and have been wanting to read it. This is the year! I would also like to finish Swan Song, which is quite a hefty book. With my small goal this year, I am allowing room for larger books, but it’s also about having a life. Life right now means that I don’t have an afternoon to sit down and power through a book, and that’s okay. I hope that at the end of 2018, I am happy with the books I’ve read no matter what the total number is. Social. My goal is the same as last year. I want to make a conscious effort to be present in the community around me, specifically with the events in my church. Like I said, last year I only attended one event. Most months, I could have easily arranged things to make the time to attend. So, that is my goal this year. I’m not attaching a number to this goal, I simply want to make more of an effort to attend the events that interest me. Financial. I would like to pay off both of our student loans this year. This is the year it’s going to happen! We haven’t had our student loans for every long, I’m just ready for them to be gone. We will also be either getting gutters for the house, along with a really nice shed for the backyard; or, we will be setting aside money for those items. We haven’t gotten a price for either of them, but the main goal is working towards gutters and a shed. Health. My health goal for this year is to run every day that I don’t go to work. Basically, that’s weekends and state holidays. I’m hoping that getting up early on those days will get my body in a routine of waking up earlier. It’s been so hard to develop a good work out routine in the morning, so I hope this will help. Home. Our goals for the home are to finish the kitchen, dining room, and living room. I have doubts that we can actually finish the living room, because we have more furniture to buy for that room than any other room. At any rate, I would like to have at least our new couch purchased by the end of the year. Clothes & Beauty. In the clothes and beauty categories, I want to continue on this journey of cruelty free beauty and ethical, slow fashion. My goal is to have an ethical wardrobe that will last me for years to come. As far as beauty goes, I am still using up non-cruelty free products that had before the big switch. I am using them so they don’t go wasted. Blog & YouTube. I touched on this a little bit yesterday, but my goal is to be more consistent this year. This means that you can expect cruelty free beauty reviews, work wear outfits on Wednesday, casual outfits on Tuesday or Thursday, book reviews as I finish books, lifestyle tips, recipes, and fun seasonal content. I want to get back to posting five days a week with one YouTube video every Sunday. Over on my YouTube channel, my planner videos are published at the first of every month. My unboxing videos are published as my boxes are received in the mail. Planning ahead is a huge part of being consistent, so I hope to share more tips about that along the way as well. This is probably one the longest posts I’ve ever written, so thank you so much if you made it to the end! I hope I have inspired your own goals for 2018. I would love to hear about them, so please share!